It's important to keep your water heater in good working condition. Either that or you face time without the appliance that doesn't get all that praise it deserves. Measure the center-to-center dimension between the hot and cold water pipes on the top of the water heater and try to ensure the new heater has the same dimensions. That will make the plumbing job a bit easier. Take a look at the plumbing connecting to the old water heater. Make sure you have a gas union in the gas line if you have a gas water heater, and make sure there are a water shutoff for the cold water inlet pipe and a union connector for the hot water outlet pipe. Heater, then install the cold water shut off valve, and / or gas union or hot water pipe union. Our plumbers do the right job in the beginning so hopefully everything is in place. Hot water circulating systems are hot water systems that circulate hot water through the hot water piping so that obtaining hot water is nearly instantaneous. 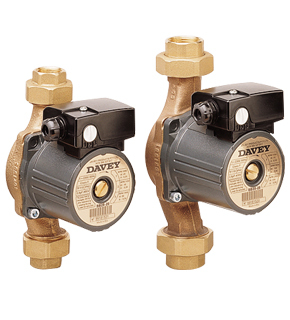 They are often referred to as re-circ, re-circ or re-circulating pumps. Hot water recirculation systems deliver hot water to fixtures quickly without waiting for the water to get hot. Rather than relying on low water pressure common in most water lines, re-circulating systems use a pump to rapidly move water from a water heater to the fixtures. Hot water recirculation systems can be activated by the push of a button, or by a thermostat, timer or motion sensor. Systems that use a thermostat or timer automatically turn on the pump whenever water temperature drops below a set-point, or when the timer reaches a setting. These systems ensure that hot water is always available at the faucet without any waiting. Systems that use a thermostat or timer may use more energy than on/off button or switch operated systems.